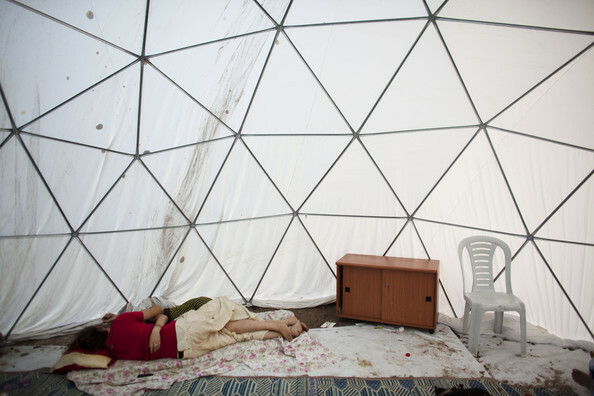 In early June, 2011, a single tent on the boulevard of an affluent Tel Aviv neighbourhood ignited a nation-wide protest that would come to include 66 tent camps across Israel and five more solidarity camps in London, Berlin, and the United States. Twenty-five-year-old film editor Daphne Leef had erected that first tent as a symbol of protest when rent in her area was raised so high she was forced out. Professor Yael Allweil looks at how this movement became a catalyst for potentially unprecedented instances of Arab-Jewish cooperation within Israel. The movement explicitly associated itself with other Arab spring public movements through its critique of Israel as an oligarchy of the rich, and it affiliated itself with Arab spring demands for popular sovereignty within the nation state. Echoing the Egyptian protests, participants identified Israel as a quasi-democracy, just like all the other countries in the Middle East. She also emphasises that the anti-state protest in Israel was unique—historically unique, even. In contrast to the conditions under which neo-liberal states have engendered large-scale protest elsewhere in world, Israel’s economy at the time was actually very strong. Protesters were in fact faulting the state for prioritising powerful market forces over social services to such an extent that peoples’ ability to put a roof over their heads was severely impacted. Rent and property prices were skyrocketing and public housing, on which a large portion of the population was dependent, was rapidly being destroyed to make way for private investment opportunities. The nature of this protest, according to Allweil, refigured the very notion of citizenship as one based first and foremost on housing. Within such a framework, housing is posited as fundamental right rather than as a commodity. The establishment of sovereignty in 1948 represented the consolidation of Zionist nation building as a state housing regime, wherein access to housing was used to manage the relationship between the nation state and its citizens. It is therefore not accidental that protestors in Israel evoked this history and used housing to demand the renewal of the state–citizen contract. As a position from which to articulate contemporary housing concerns within Israel, though, this approach created what Allweil describes as a sense of “uncanniness” for Palestinian-Israelis, for whom access to housing has been a critical issue exactly since the 1948 conflict. As such, many Palestinian-Israelis expressed ambivalence about participation in the protests. For her article, she focusses on two prominent Palestinian-Israeli protest camps—one in Jaffa and one in Qalansuwa—that arose in response to and in conjunction with the larger movement, and looks at the degrees to which they became sites of solidarity between Palestinian and Jewish Israelis. Its formation during the month of Ramadan was not easy, and required cooperation between many interest groups and political movements. This manifested itself in the very formation of the camp: its first two tents were a large mourners’ tent provided by the Islamic movement and a Jewish sukkah (a temporary hut constructed for use during the week-long Jewish festival of Sukkot) provided by the homeless Steinling family and used by the Jaffa Popular Committee for Land and Housing, which moved its office to the park. A camp in Qalansuwa was formed as a means of addressing a civic planning notice which, if implemented, would critically stifle any possibility for the development of affordable housing in the city—a situation that was already dire. As a camp organiser stated, “There are many young people who want to get married but cannot buy a house.” The presence of the camp was met with sympathy and support, not only from nearby Jewish communities, but local police. People from disparate backgrounds also demonstrated together in Qalansuwa, and Allweil points out one sign in particular that read: “The people demand’ [in Arabic] ‘social justice’ [in Hebrew], held by an elderly Qalansuwa resident in a demonstration at the town’s main square. Housing is at the centre of this social struggle for equality, as expressed through the movement’s symbol of a national flag whose central emblem is a house. Identifying housing as the most basic of rights, this movement has thus identified a society based on dwelling and citizenship. Can the joint struggle for housing form and reshape the terms of an Israeli polity? Yael Allweil is the 2012–13 Postdoctoral Fellow at the Harry S. Truman Institute, Hebrew University of Jerusalem, and faculty member at the Faculty of Architecture and Town Planning at the Technion – Israel Institute of Technology. She completed her Ph.D. in the Department of Architecture at the University of California, Berkeley, in 2011.